Today we make our first 3D addition. It's not anything fancy, just a rotating cube and sphere. 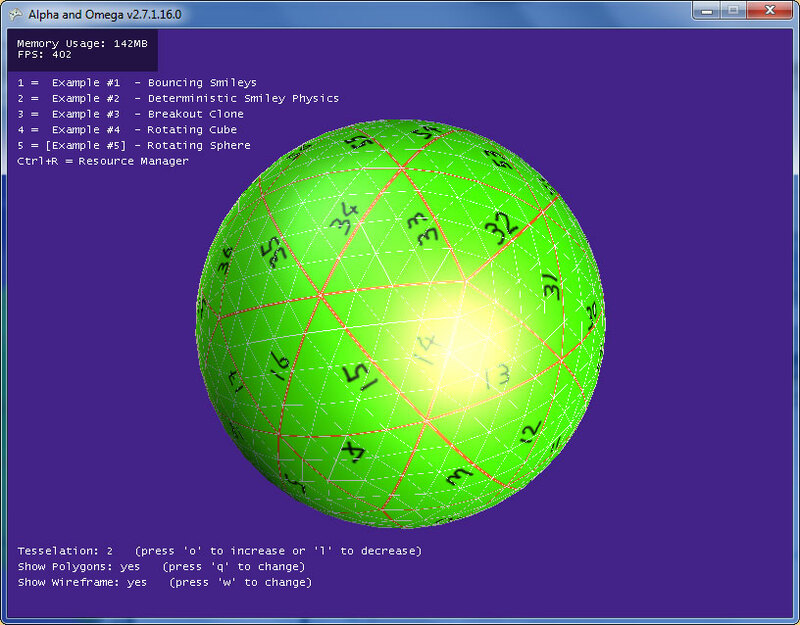 The sphere will form the basis for the game that will someday be made to look like a planet. The first thing we'll do is to create different geographical area's on the sphere. These geographical area's will just be colored triangles because I'm not yet ready to generate landscapes. The next step will be to generate a couple of tribes scattered over the planet at which time we also need to add tribe-members. When this is done we are finally able to create a user-controllable object that roams the world and annihilates these tribes. We will not yet invest time into making things look pretty because we first need to make sure that is actually fun to play. Since we are at such an early stage of development it is still possible that some major changes will be made to the idea of the game. These changes may also affect how it will look and it'll be really frustrating if we invested lots of time in landscapes we can't use. There are plenty of engine-related topics that we still need to discuss (picking, camera, clipping, LOD, ...). We'll get to those topics when we are actually in need of them, so the first topic will probably be implementing a camera with frustum-culling.